Sometimes even barnwood gets the chance to retire somewhere nice and sunny. 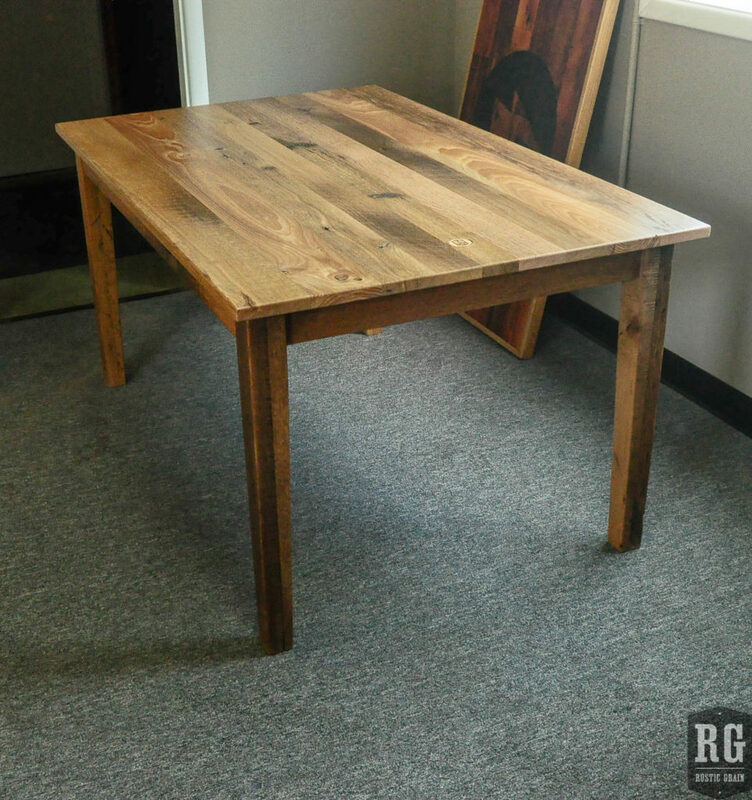 These two tables were made from our Boonville barn. After 100 winters in Missouri, I hope they are enjoying their new home down in Florida. 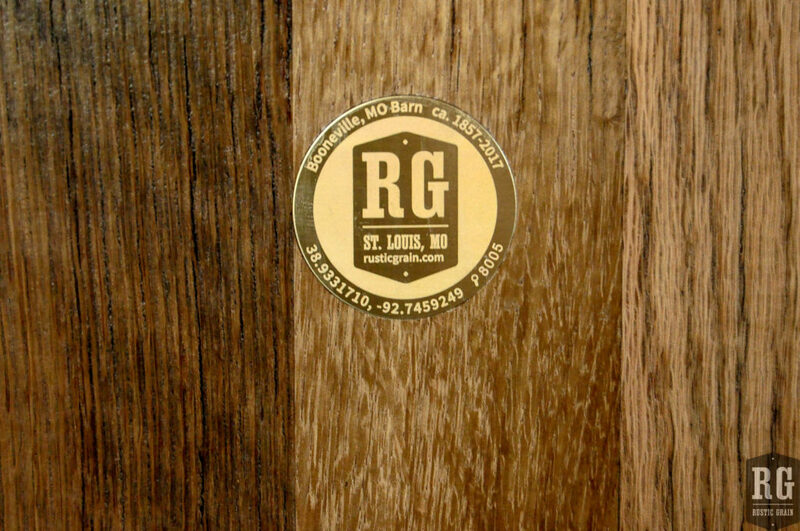 While we’re based in St. Louis and do in-person deliveries to the surrounding area, even our long-distance clients can count on safe, reliable shipping of their custom pieces. 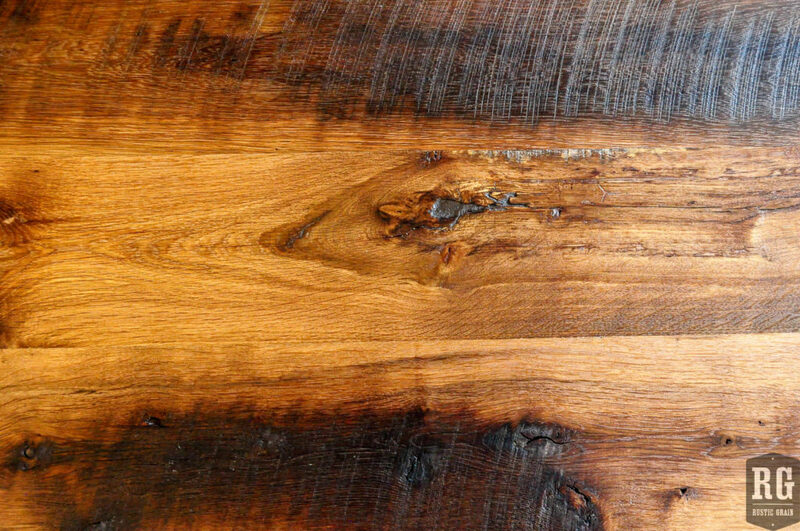 The dining table is made from reclaimed oak finished in a gorgeous honey stain. 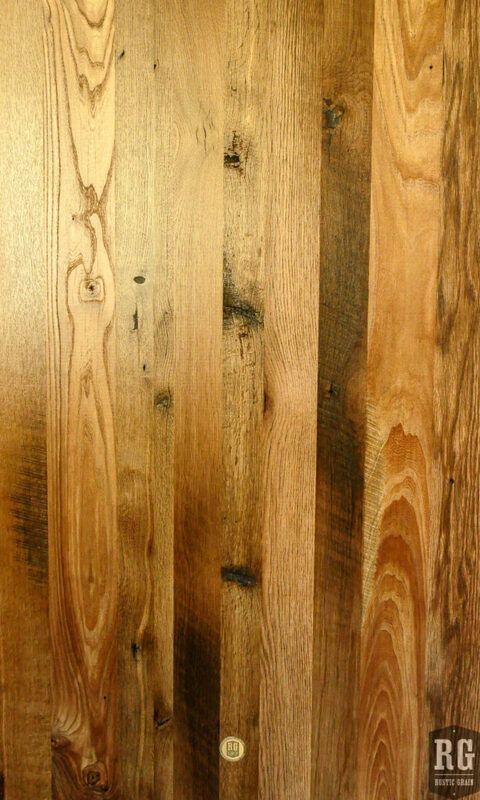 Its classic style will last as long as its construction. 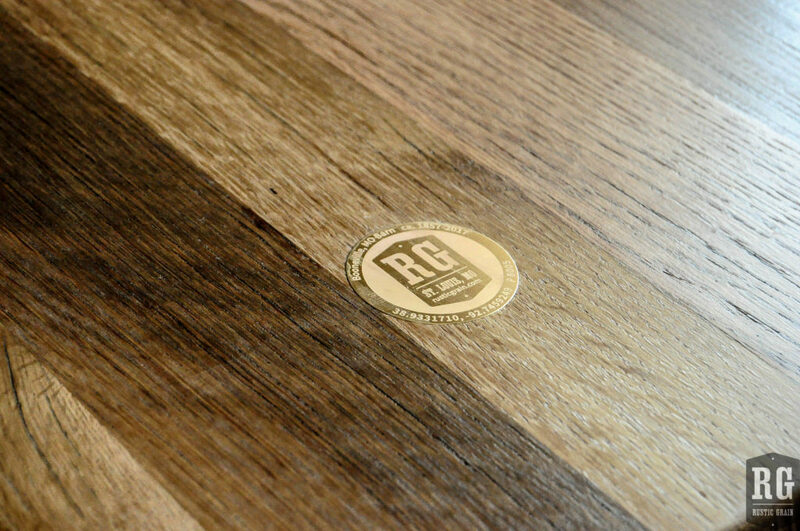 We sanded the tabletop super smooth for comfort and easy clean up, but you can still see the milling marks on the tapered legs. 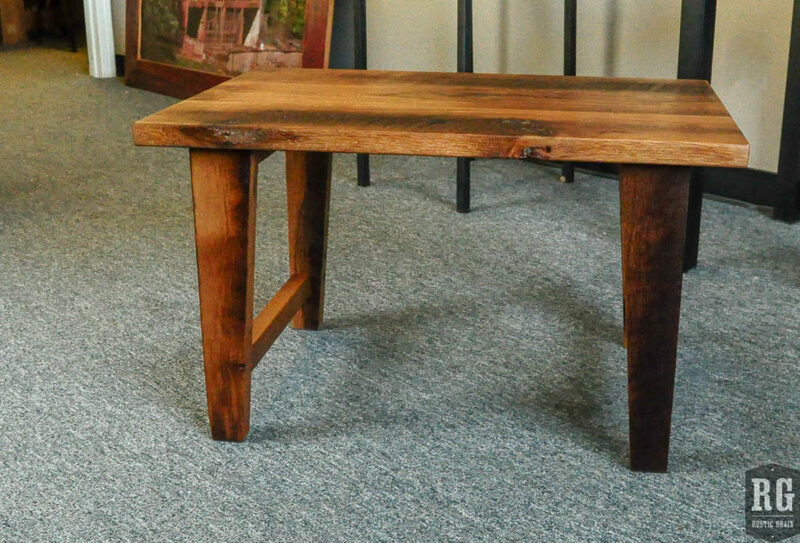 The coffee table repeats the tapered legs of the dining table but also includes crossbars so it is sturdy enough to support propped-up feet even if your mom always told you to keep your feet off the table. 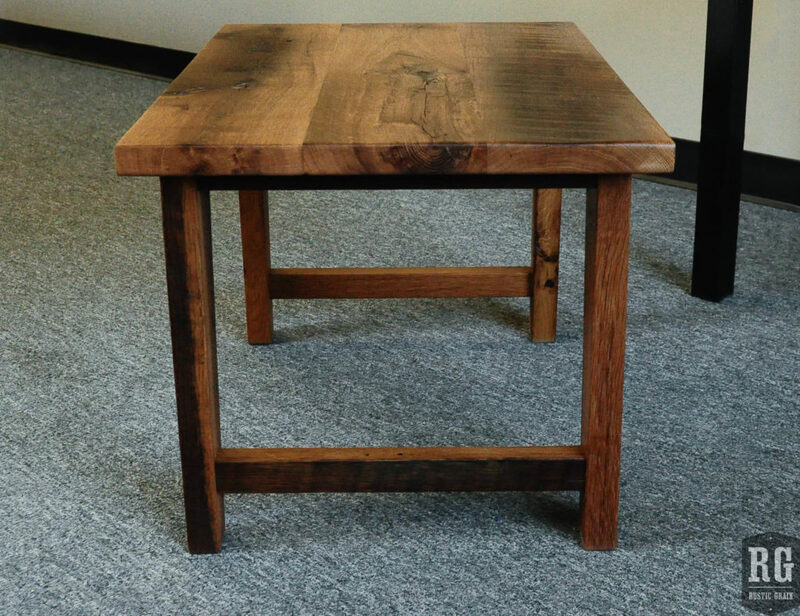 Since a coffee table sees a different type of use than a dining table, we retained more of the original milling marks on the top to let the history shine through on all aspects of these piece. 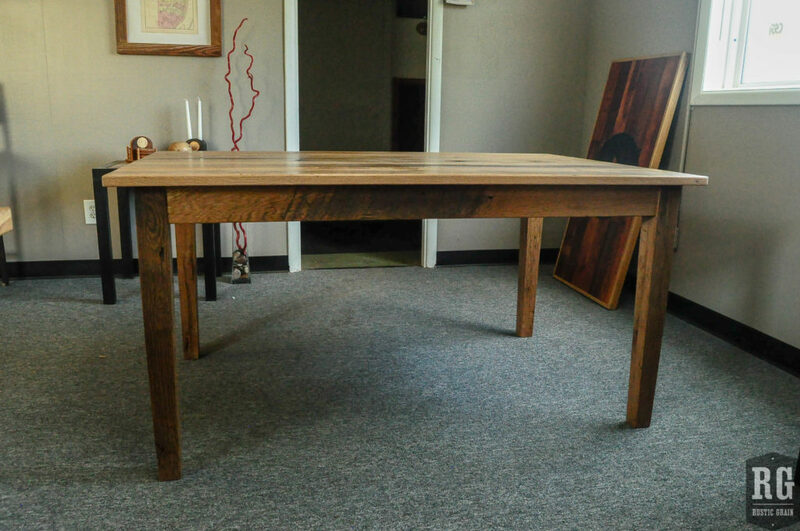 It was finished to match the dining table so these are a great pair. 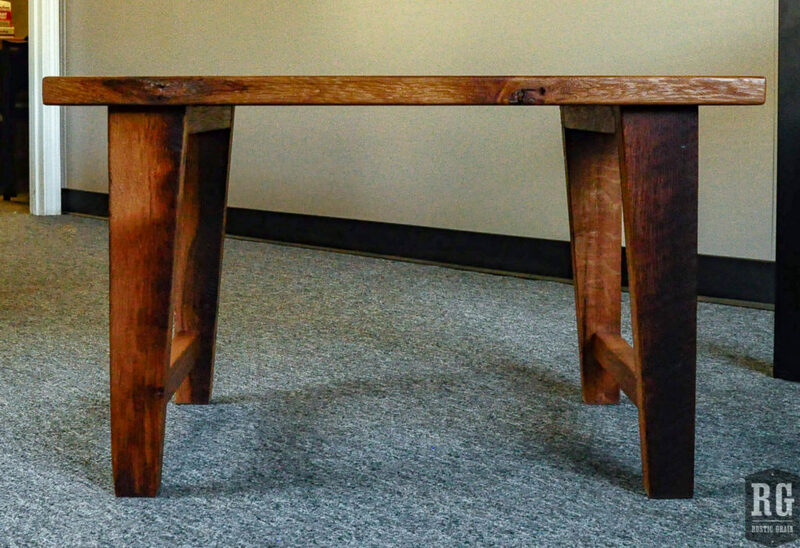 Click through the gallery to see even more of these beautiful tables.